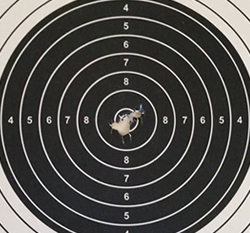 The first Airgun and Smallbore Rifle competition dates have been scheduled. Please contact the relevant club for any additional information about competitions. Dates are subject to change. Dates are also available through the TSI Google calendar which can be found here. The calendar will be updated with more dates shortly. National Championship dates to be set. Keep an eye out for updates here and on our Facebook page. We are delighted to announce that we have joined the 20x20 If She Can't See It, She Can't Be It initiative from the Federation of Irish Sport. This initiative aims to bring about a cultural shift in our perception of girls and women in sport. To actively increase media coverage of our female competitors at international and club/college competitions at all levels by 20% by 2020. To actively promote and plan for increasing female attendance at identified events by 20% by 2020. We are very excited to begin our journey with the initiative, championing girls and women in sport. Intershoot, The Hague, Netherlands, February 31st - 2nd 2019. European Championship, 10m, Osijek, Croatia, March 16th - 25th 2019. ISCH Hannover, Germany, May 2nd - 12th 2019. ISSF World Cup, Rifle / Pistol, Munich, Germany, May 24th - 31st 2019. European Championship, 25m/50m/300m, Bologna, Italy, September 12th - September 23rd 2019. Target Shooting Ireland funding is limited, so please be aware that a significant portion of competition and travel costs will need to be borne by the shooter. 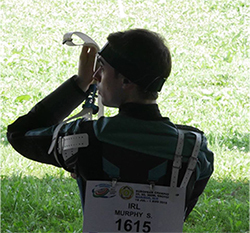 Following receipt of this expression of interest, those intending to participate will be contacted and will be required both to submit to the Target Shooting Ireland a code of conduct, detailed training schedule with goals covering the period up the competition, and to achieve a minimum qualifying score. Those who have not submitted the documents will not be considered for travel. 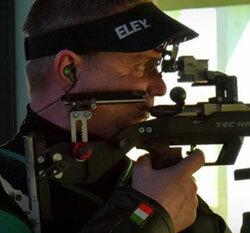 We compete in Olympic Target Shooting focusing on a number of ISSF Rifle and Pistol disciplines. TSI endeavors to send Irish athletes to compete internationally. A selection process has been put in place to assist shooters in qualifying and progressing to a higher level. Competitions are run frequently by TSI affiliated clubs. You can view all the results from these below. Some matches will have live updating scores. 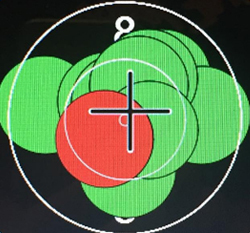 You can view the targets in the link below. Keep an eye on our twitter to see when this is available.